New Sylph and Mount Joins LoA! League of Angels is happy to introduce a brand new Sylph! 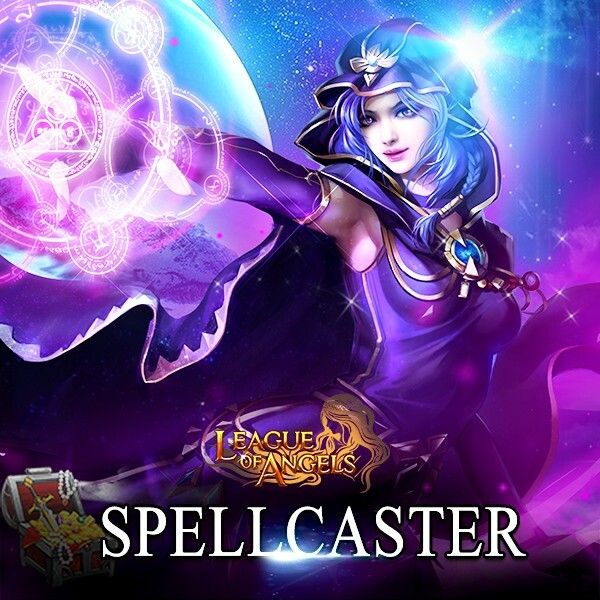 Spellcaster, the Mage of Chaos, is now playing a great role in battles in angelic land! Spellcaster comes from a long line of powerful Chaos mages. Although Chaos magic is inherently dangerous and its study banned in most areas, the Chaos Mages have forsaken tradition magics and practice their arts in secrecy. While most assume that Chaos mages are reckless and power hungry, the opposite is true. Mastering Chaos magic requires extreme discipline and self-control. Those who lack these qualities are eventually consumed by the Chaos, ensuring that only the most capable may wield its uncanny powers. Spellcaster's skill is Swift Prediction, a buff that inflicts Chaos on your attackers. If the target is immune to Chaos, their Attack, Agility and Hit are greatly reduced instead. We hope players will enjoy this new sylph joining League of Angels. Please look forward to more great content coming soon!